Highlights of the Sky Bet Championship match between Sunderland and Wolves. Sunderland's miserable season in the Sky Bet Championship ended on a rare bright note as they thrashed title winners Wolves 3-0 before heading to League One. With prospective new owner Stewart Donald watching from one of the executive boxes at the Stadium of Light, the Black Cats produced arguably their most impressive performance of the entire campaign. 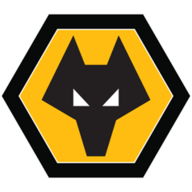 Wolves, on the other hand, were way below the standards they have set for the vast majority of the season, with Nuno Espirito Santo's players seemingly having switched off for the summer long before they travelled to the north east. 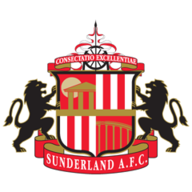 Sunderland were the better side throughout, with Ovie Ejaria and Ashley Fletcher scoring before the interval and Paddy McNair claiming his fourth goal in the last six games midway through the second half. The two clubs might stand at opposite ends of the Championship table, but for much of the afternoon, it was Sunderland who looked most like the side that will be playing Premier League football next season. Wolves' players clearly downed tools, with the Championship title already won, and while it would be stretching it to say that Sunderland's were playing for pride such has been the abject nature of their relegation campaign, at least caretaker manager Robbie Stockdale was able to watch a side brimming with effort. Sunderland's first opportunity came in the 10th minute, with Joel Asoro seeing his shot blocked by Roderick Miranda, and the hosts continued to create chances at regular intervals. Will Norris tipped Ejaria's rising drive over the crossbar and also watched Asoro stab McNair's cross wide at the front post, but the Wolves goalkeeper was finally beaten in the 19th minute. McNair crossed from the right, and while Norris got down well to keep out debutant Luke Molyneux's initial effort, he was unable to prevent Ejaria rolling home the rebound. It was the midfielder's first goal in senior football, and represented a positive end to his loan deal from Liverpool. With Wolves' defenders barely making a tackle, Sunderland continued to threaten. Fletcher rolled past his marker before drilling in a shot that was saved by Norris, and Bryan Oviedo flashed a low drive across the face of goal after playing a neat one-two with Molyneux. Wolves finally carved out an opening of their own as Ruben Neves swooped on a loose ball before hammering a 25-yard drive over the crossbar, but the champions fell further behind on the stroke of half-time. Ethan Robson's long ball caused confusion at the heart of the visitors' defence, and Fletcher nipped between Danny Batth and Norris to loft the ball into an unguarded net. Sunderland drew at Molineux earlier in the season, meaning four of their 37 points have come against the champions, and only their third home win of the campaign was confirmed when McNair scored midway through the second half. The Northern Ireland international received the ball from Fletcher inside the area, and skipped past two Wolves defenders before sliding home a low finish. Sunderland caretaker Robbie Stockdale: "It made me proud that some of them were lads that came through the youth system when I was coaching there. It was a proud moment for the football club. "There's a lot of hard work that goes into developing young players, and there would have been more involved if they were fit. But I've got to say that although I was really proud, and although it was a really good moment for the club, the attitude of the loan players and the senior players was also really good. The environment they created was great." Nuno: "It was a bad game. We were not as intense as we should have been, and that is why we lost. A lot of things have been happening, and we were promoted a long time ago. We wanted to push for a victory and our fans were there, but the game did not go well. It is not a question now of looking at it too deeply, although I think we should have done better. "I cannot take anything away from my boys though. What they have achieved is fantastic. We have finished as champions and we did everything that we wanted to. They should all be very proud."